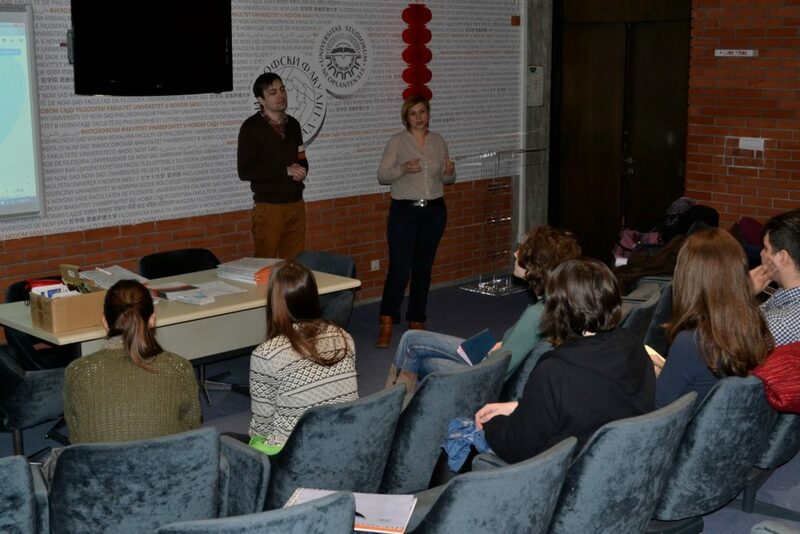 On 21 Febraury, members of the ‘Novi Sad 2021’ foundation Lazar Jovanov and Milica Rašković, who are in charge of the promotion of participation aspect of the ‘Novi Sad 2021 – European Capital of Culture’ project, attended the Welcome Day for foreign students who will spend this semester at the Faculty of Philosophy in Novi Sad. 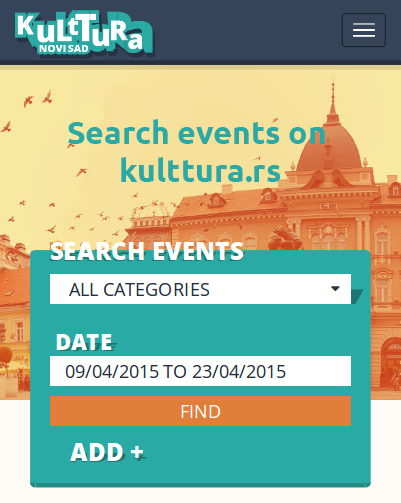 They briefly presented the cultural milieu of Novi Sad, focusing on the most important institutions and festivals. Furthermore, they also presented the concept of the ‘For New Bridges’ programme, which was used in the biding process for the European Capital of Culture title for 2021, pointing out the ways it will be developed, and projects that would be of interest to young people. It is interesting that a number of students from this group comes from several former or future European Capitals of Culture, such as Aarhus, Graz and Timișoara. This is the reason to organise a special meeting with these students and develop additional cooperation. Moreover, within the international cooperation, Prof Corina Tursie from Timișoara, who specialised in topics related to ECoC projects, is a guest lecturer at the Faculty of Philosophy in Novi Sad. During the month of March, Ms Tursie will hold several lectures on this topic, which will be a reason for stronger connection and cooperation between Novi Sad and Timișoara – two cities that will, together with Eleusis from Greece, hold the ECoC title in 2021.